One in three Americans do not get enough sleep, and 45% of the remaining world’s population doesn’t either. The US Centers for Disease Control and Prevention calls that a “public health problem,” because disrupted sleep is associated with a higher risk of physical and mental conditions including diabetes, stroke and cardiovascular disease. There is evidence suggesting that there is a link between lack of sleep, Alzheimer’s disease, and dementia. 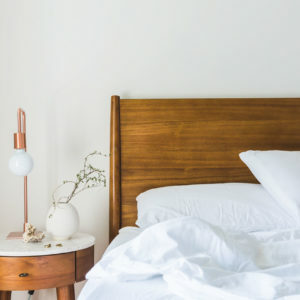 A new study published in Neurology, the journal of the American Academy of Neurology, finds that people who get less REM, or dream-stage sleep, may be at higher risk for developing dementia. REM is the fifth stage of sleep when the eyes move, the body heats up, breathing and pulse quicken and the mind dreams. The study found that people who took longer than the typical 90 minutes to enter REM were more likely to get dementia. They also spent only about 17% of their sleep dreaming, compared to 20% in those who did not develop dementia. No association with dementia was found for any of the other four stages of sleep. Additional research has recently been presented by Alzheimer’s Association International Conference in London. Three studies by researchers at Wheaton College in Illinois found significant connections between breathing disorders that interrupt sleep and the accumulation of biomarkers for Alzheimer’s disease. Treating the problems with dental appliances or CPAP machines that force air into airways could help lower the risk of dementia or slow its progress, the researchers said. While a correlation between sleep apnea and dementia has been documented in the past, these are among the first long-term studies to look at the relationship between sleep disruption and the biomarkers commonly associated with Alzheimer’s disease, said Megan Hogan, one of the Wheaton researchers. Noting that past research has found that the brain clears up deposits of amyloid plaque during sleep, Hogan hypothesized that apnea may impede this process. “During sleep, your brain has time to wash away all the toxins that have built up throughout the day. Continually interrupting sleep may give it less time to do that,” she said. It may be in the deepest stages of sleep that the clearing-up takes place, said Ronald C. Petersen, director of the Mayo Clinic Alzheimer’s Disease Research Center and the Mayo Clinic Study of Aging. “If you’re only making it to Stage 1 or Stage 2, and then you start choking or snoring or whatever, and you wake yourself up and you do it again and again, you may not even be aware of it, but you may be accumulating this bad amyloid in the brain rather than clearing it,” he said. In recent research, people who repeatedly jolted awake during the night showed immediate increases in amyloid buildup, Petersen said. And if the sleep disruption continued for a couple of weeks, subjects showed increases in the tau protein tangles that also are associated with Alzheimer’s.